In a market saturated with mobile presentation projectors, there are two ways to be noticed: get brighter, or get lighter. 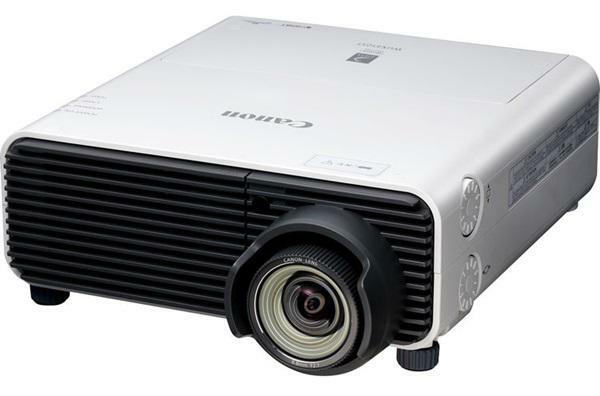 The InFocus IN10 is one of the lightest projectors on the market, weighing only 2.4 pounds. This compact light cannon is rated at 1800 ANSI lumens of brightness, and at the same time is one of the few projectors that truly deserves the title of micro-portable. In addition to its high lumen output, it features a long lamp life, and comparatively quiet operation. Thus the IN10 is an excellent choice for traveling presenters who want to carry a lot of power in the smallest and lightest package possible. Light Engine: 1024x768 (XGA), native 4:3 0.7" DLP chip, 125W lamp. Connection Panel: One M1-DA port, one S-Video port, one Composite video port, and one 1/8" audio input. Lens and Throw Distance: 1.3:1 manual zoom/focus lens. Throws a 100" diagonal image from 12'5" to 15'9", or a 60" diagonal image from 7'6" to 9'5". Warranty: Two years, six months for lamp.